At first, I was skeptical. Superfly (1972) is a Blaxploitation crime drama classic telling the story of a drug dealer risking his life and connections to escape a life of crime while trying to go ‘legit.’ The stylish player was accompanied by one of the most legendary soundtracks of all time, making it a cultural sensation. 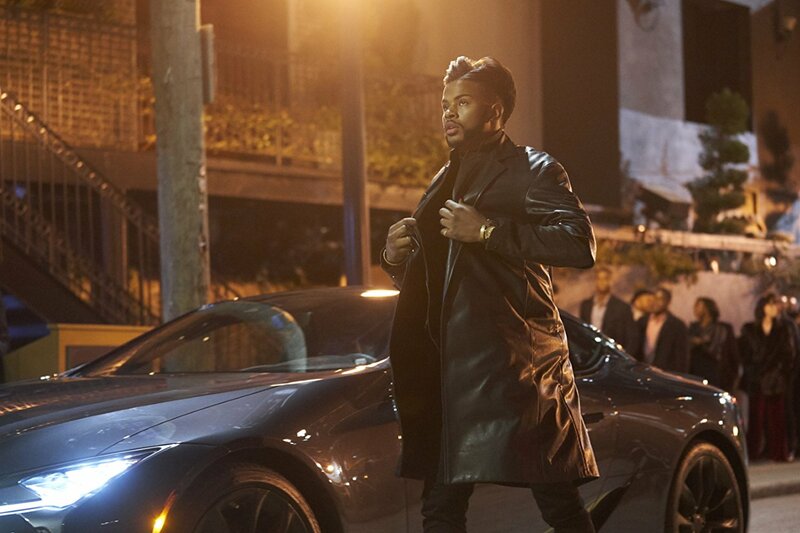 Being most familiar with Trevor Jackson on Grown-ish, he seemed an uncomfortably young choice for the starring role. Who could possibly live up to Curtis Mayfield’s signature sound? Who was asking for this? So, yes, of course, I was skeptical of this 2018 remake. But then, my favorite thing happened; I was proven wrong. This slick adaptation is a fully Atlanta remake starring several shots of the iconic skyline, Big Boi is the hilarious and lecherous Mayor Atkins all while rapper Future controls the soundtrack. Despite Jackson’s youthfulness and lean figure, he is believable as the ambitious Youngblood Priest. Jason Mitchell as Eddie, Priest’s right-hand man, and Michael Kenneth Williams as Scatter, the criminal mentor, add some grounding gravitas in what could be otherwise a light fair. If smooth were an aesthetic, Priest would be king. From his aerodynamic hair to his comparatively understated bling layered over tailored clothes, he oozes control. Priest never raises his voice or a fist unless there are no other options. He utilizes secret knowledge of the whereabouts of any challenger’s family delivered in husky whispers instead of guns and direct threats of violence. When that plan of action fails him, he works with hands in almost too realistic fighting style using practically surgical jabs. When it comes to women in the film, there’s still much to be desired. Mostly, just more of them. Andrea Londo as Cynthia and Lex Scott Davis as Georgia feature as Priest’s (and possibly each others) live-in girlfriends. However, outside of Renee Victor’s cameo shining as the biggest badasses in the film, there’s a saddening lack of Queen Pins. Even with these issues, Superfly is highly enjoyable, adult fun with exciting fight scenes, explosive car chases, plenty of bullets fired out of guns the likes of which I have never seen outside of sci-fi and pulse-pounding double crossing dealings. The film practically begs you to talk back to it, encouraging a fun, communal experience. I would recommend you PAY to see this movie in theaters. Thirty-something Atlanta native who has been writing film reviews for nearly a decade while also podcasting blerdiness with Nerdgasm Noire. She is full of opinions and a deep believer in the power of pop culture and representation. It was a nice entertaining movie. I liked it.